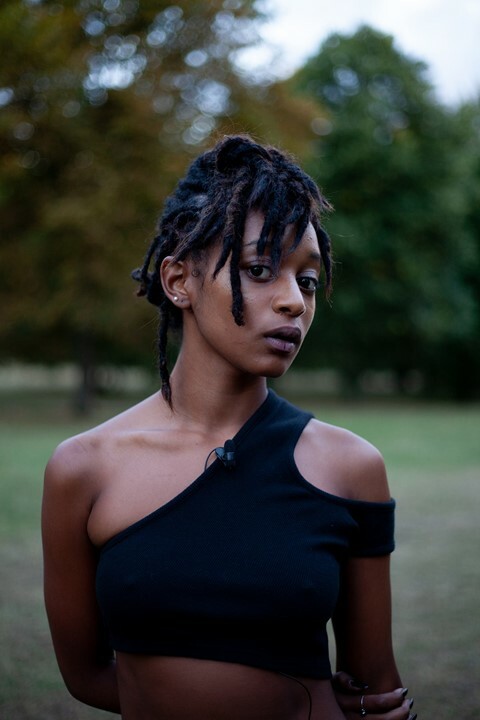 Just before dusk on Friday last week, a crowd gathered on the grass outside London’s Serpentine Gallery in anticipation of the latest instalment of Park Nights, the institution’s annual summer programme. Running since 2002, each year Park Nights invites international artists and creative practioners to respond to the Serpentine Pavilion as the outdoor structure is redesigned by a differtent architect every time. This season, it was Mexico-born Frida Escobedo who was given the task, realising an enclosed courtyard compiled of a lattice of cement roof tiles, creating peep holes around the exterior of the building. It was through these perforations that we viewed the evening’s performance – titled Not For You, For Everyone and directed by Telfar – which took place inside the walls of the pavilion, leaving the audience outside to peer at the activity within. It will be next month, during New York Fashion Week, that Telfar stages its S/S19 show. 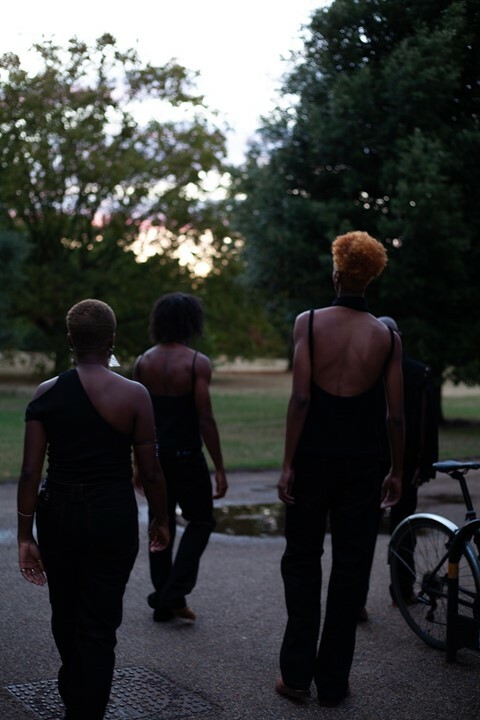 But, somewhat surprisingly, Clements and Radboy chose the event at the Serpentine to present a sneak preview, with FAKA modelling some of the simple, black, topstitched denim garments which will form part of its next collection. This move posed the question: was what we were seeing a fashion show or an art performance? And, why was a brand releasing its unseen collection – usually sacrosanct and swathed in secrecy – ahead of the orthodox fashion schedule? The answer, quite simply, is that Telfar is unorthodox; its modus operandi is to subvert prescribed systems and blur the boundaries between different mediums. Park Nights continues until October 7, 2018 at the Serpentine Gallery, London.